As world leaders gather in Copenhagen for women’s health, we’re highlighting the reality of access to health amongst one of the world’s most impoverished and isolated populations: pastoralist women in sub-Saharan Africa. BOMA participant, Adhi Goba, experienced chest pain for years. She would often wake up in the middle of the night with difficulty breathing. Without a job or any other source of income, Adhi had no money to pay for her children’s medical fees let alone her own. “Even my eldest son fell sick” says Adhi, “I couldn’t depend on him or anyone else to help me.” It wasn’t until Adhi Goba joined BOMA in September 2013 that she was finally able to get the resources to visit a doctor. 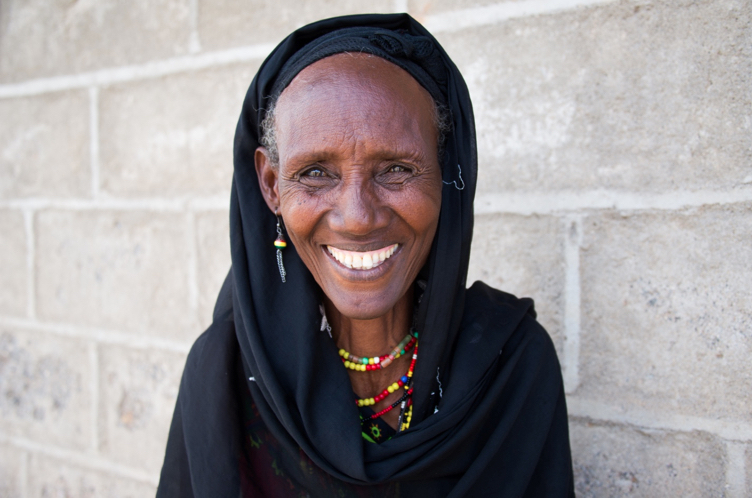 Last summer, Adhi took a loan of 7,000KSH ($70 USD) from her BOMA Savings Group in order to pay for transportation to a clinic and her doctor’s fees. “I used to see myself as desperate,” says Adhi, “but now I have been able to help myself.” Within 4 months of taking the loan Adhi was able to pay back all of her loan with her business profits.